Admittedly, I am not much of a baker. The process bores me because I love trying and tasting my food during the creation and baking makes me sit and wait. 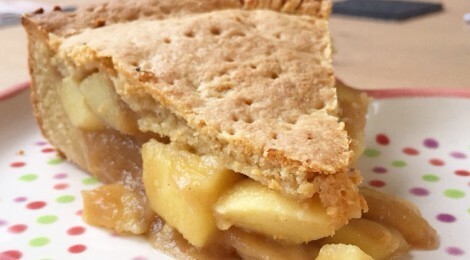 I am not a patient person…Since I got my hands on so many nice products yesterday at the fair, I tried to bake a #vegan apple pie today – with an egg replacer, plant milk and margarine. It turned out beautifully and soooooo yummy! 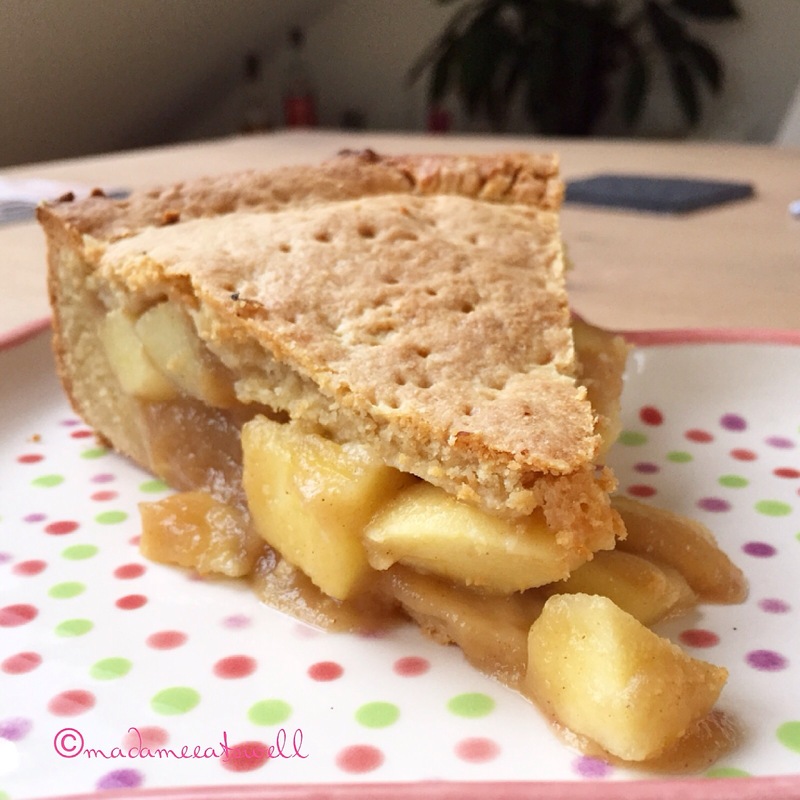 You can’t imagine how awesome my home smells right now – apples, cinnamon and vanilla scent all over! 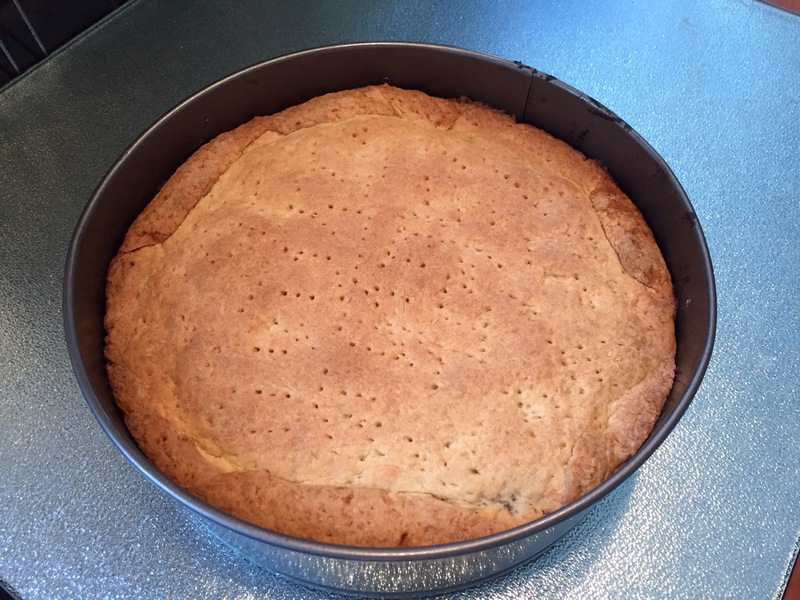 Mix flour, baking powder, sugar and half of the vanilla sugar in a bowl. Meanwhile prepare the egg replacer as recommended. Cut (rom temperature tempered) margarine in small bits and add to the flour mix. If egg replacer is good, also add to the mix. Knead thoroughly, either in a mixer/kitchen machine or by hand. Spread some of the margarine evenly in your springform. If in a machine, use the time to peel the apples and cut them in small cubes. 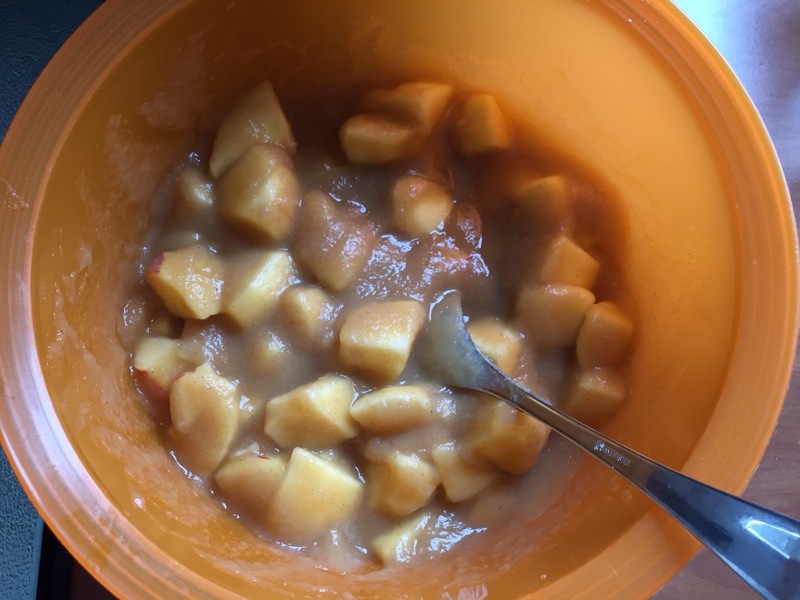 Put apple sauce and apple cubes into a bowl, add cinnamon, rest of vanilla sugar and mix all. 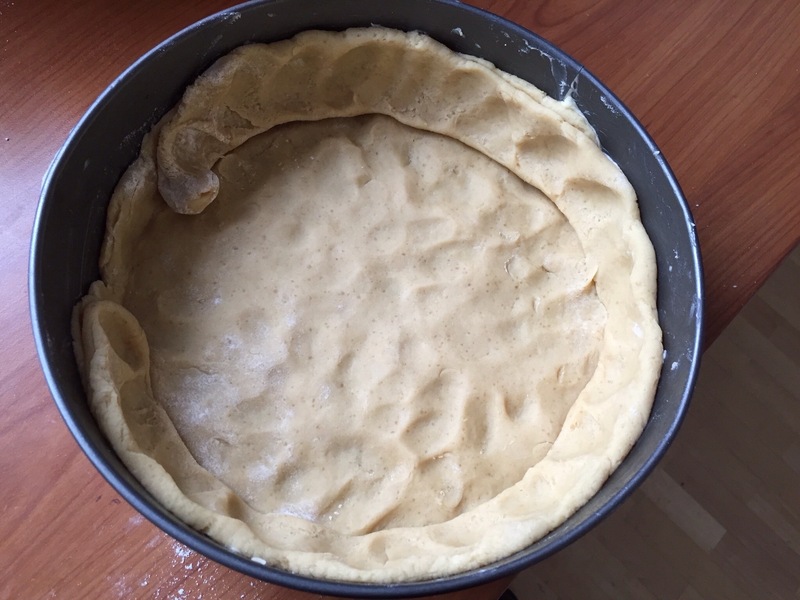 Divide the dough into 3 parts: spread one part in the springform as pie ground. One part will be the side of the cake, I usually make a “snake” and lay it all around the springform to then spread it up the walls evenly. 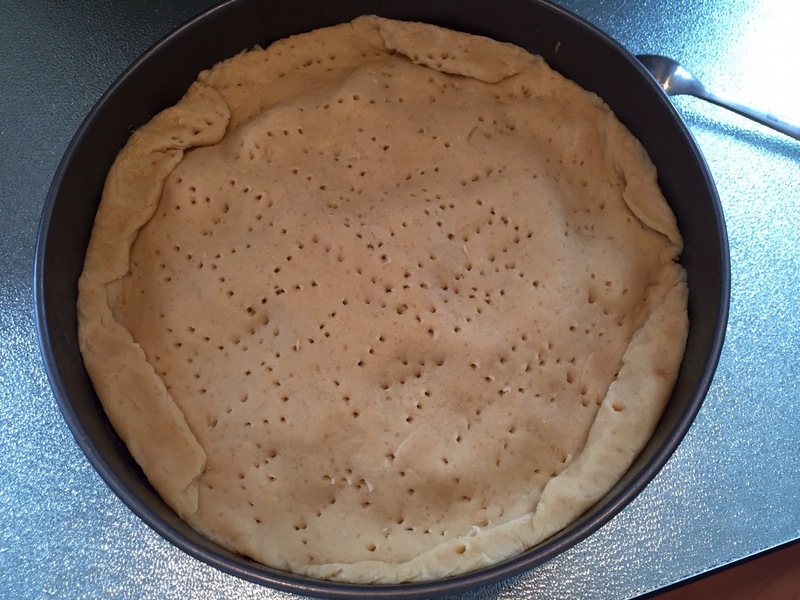 Pinch the bottom of your dough with a fork in order to let air out during baking. This way it won’t develop uneven bubbles. 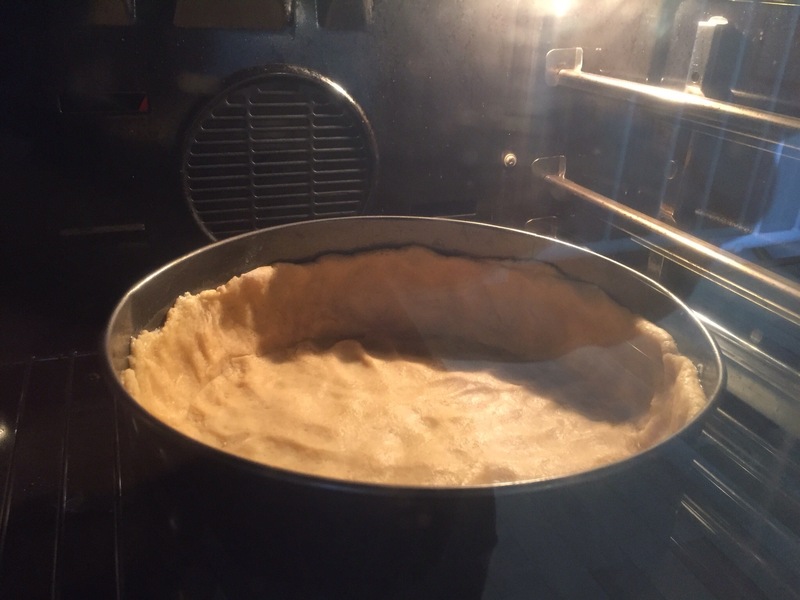 Put the third part of the dough away and put the springform in the oven for 15 minutes. 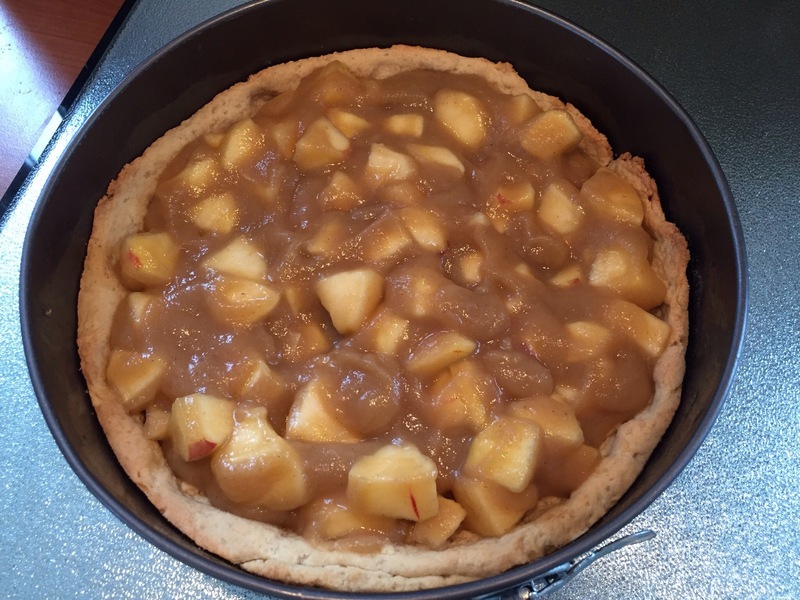 After 15 minutes, take the springform out of the oven and fill in the apple mass. Spread it evenly. 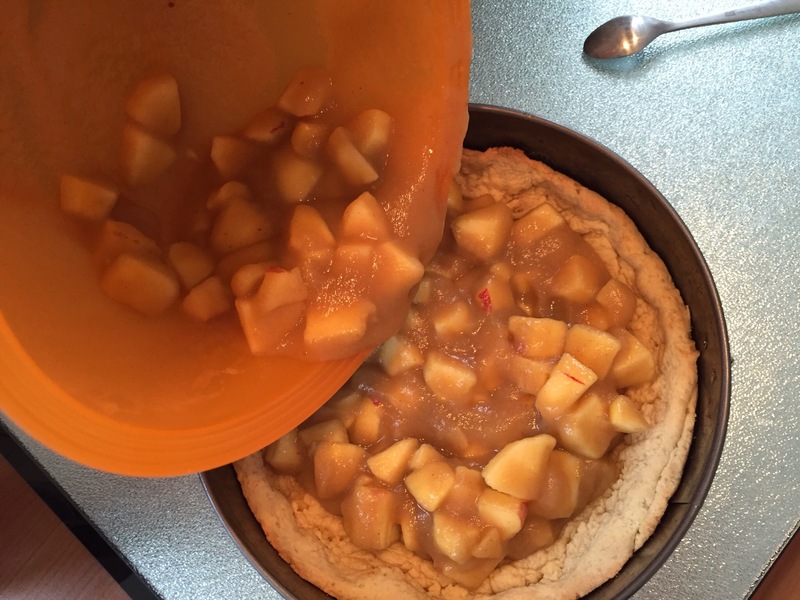 Take your third part of the dough, roll it out and put it on top of the apple mass as a cover. Also pinch the cover with a fork. Bake for another 30 minutes, take out of the oven, let cool. Enjoy!